Richard Burton Matheson (born February 20, 1926) is an American author and screenwriter working primarily in the fantasy, horror, and science fiction genres. Between 1950 and 1971, Matheson produced dozens of stories, frequently combining elements from the different genres in which he works, making important contributions to the further development of modern horror. Matheson wrote fourteen episodes for the American television series The Twilight Zone, including the famous "Nightmare at 20,000 Feet." Notably, Steven Spielberg's first full length film (made for television) was based on the story "Duel," for which Matheson also wrote the screenplay. A new film based on Matheson's story "Steel," entitled Real Steel, is a major motion picture that was released in October 2011. His most recent novel, Other Kingdoms, appeared in March 2011. 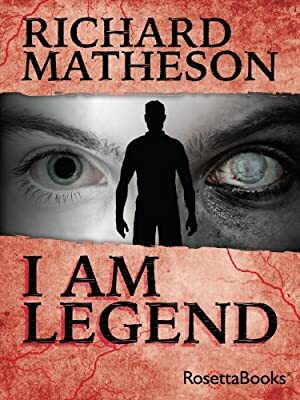 According to film critic Roger Ebert, Matheson's scientific approach to the supernatural in I Am Legend and other novels from the 1950s and '60s anticipated the "pseudorealistic fantasy novels like Rosemary's Baby and The Exorcist." In 2010, Matheson was inducted into the Science Fiction Hall of Fame, and Stephen King has cited Matheson as a creative influence; his novel Cell is dedicated to Matheson along with filmmaker George A. Romero. Author Anne Rice has said that Matheson's short story, "A Dress of White Silk" was a primary early influence on her interest in vampires and fantasy fiction. Log In to track Richard Matheson on eReaderIQ. to be notified each time the price drops on any book by Richard Matheson. to stop tracking Richard Matheson. We started tracking this book on May 10, 2014. The price of this book has changed 51 times in the past 1,809 days. This lowest price this book has been offered at in the past six months is $3.49. The lowest price to date was $0.99 last reached on January 3, 2018. The highest price to date was $9.91 last reached on August 30, 2015. This book has been $9.91 one time since we started tracking it.